It resembles the old Yankee Stadium. 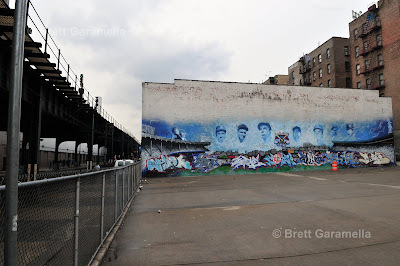 It stands right next to the old Yankee Stadium. 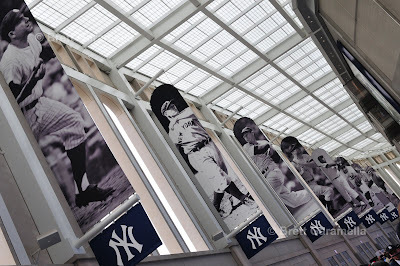 It even uses the same parking garage from old Yankee Stadium. But it is not the old Yankee Stadium. This is the new Yankee Stadium. This new stadium cost $1.3 billion, which the New York city and state taxpayers funded thanks to agreements former Mayor Giuliani made before his term ended in 2002. Mayor Bloomberg had really no say in it. Thank you, Giulani, for wasting over a billion dollars of taxpayers money so that you can sell a few more corporate boxes. Meanwhile, the average working man can’t afford to take his family to a game with the food prices: hotdogs ($6.75); bottled water ($5); and beer ($10). It is hard to believe the American economy is the worst since the Great Depression. The whole thing makes me lose my appetite. Yesterday, my best friend growing up, Arin Kalman, asked me if I wanted to go to a game at the new stadium in the Bronx. He had an extra ticket through his insurance company, who had season tickets. Someone had canceled at the last minute. Morals aside, I said, ok. It’s very hard for me to turn down free tickets. Besides, I was curious: just what did this new stadium have that the old one did not? We parked on top of the parking garage, which sat right next to the old stadium. I was already feeling nostalgic. Apparently, the designers had anticipated this feeling. 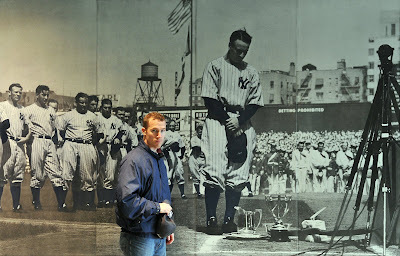 As soon as I walked inside I saw giant photos of DiMaggio, Gehrig, and Mantle. If they were still alive they would do a double-take at the price of programs ($10). To counteract this, more and more black-and-white photos hung around the food stands. It was fun to look at, and indeed brought back fond memories of when baseball was less of a corporate affair. After all, when did you see a sushi restaurant at an American ballpark? Your average fan doesn’t eat sushi. These were the new fans. The jumbo-tron was like no other I had seen before. It was a 1080p high definition screen that measured 103-by-58-feet. From our seat in the second row of the second level, the jumbo-tron was the most noticeable difference from the old stadium. The railings keeping people from falling to the level below looked a little different too. Also, there was no view from buildings behind the outfield. No train going by, either. I missed the train. I missed the old buildings in the backdrop beyond the white façade. 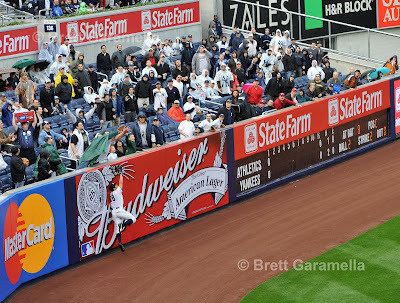 Most of all, I missed the feeling I had when going to a Yankee game as a child. I remember walking down near the first base dugout and getting autographs from the players. I remember taking photos and watching the players warm up. This was what ballparks were built for. This new stadium was right next door, but it might as well have been on a different planet. I took one step toward the lower level, and an usher stopped me. I showed him my camera and told him I was just taking a quick photo. He said I couldn’t. What are you talking about? I just want a quick photo of the field without the overhang in my way, I said. He said no with an attitude. I am just going to take one quick photo. He began yelling at me as did another usher when I tried this again. The fans are ones who paid for this stadium. The fans are the ones who are buying the ridiculously expensive food. Yet the fans cannot take a single photo beyond the first level ushers. The fans cannot be treated with respect. I’m never coming back here, I thought. Kurt Suzuki hit a controversial homerun off C.C. 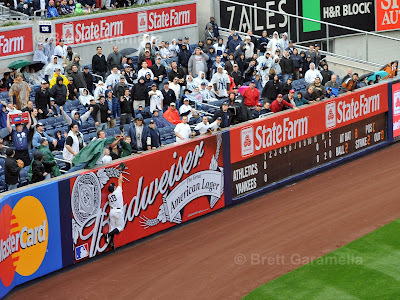 Sabathia in the second inning just beyond the reach of leftfielder Johnny Damon. 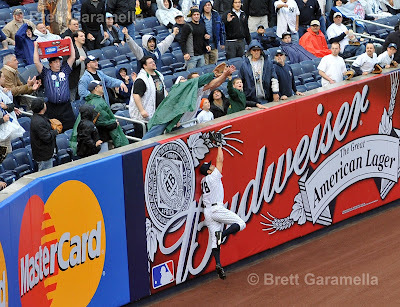 Yankees beat Oakland 9-7 in the 14th inning, the first extra-inning game in the new stadium. 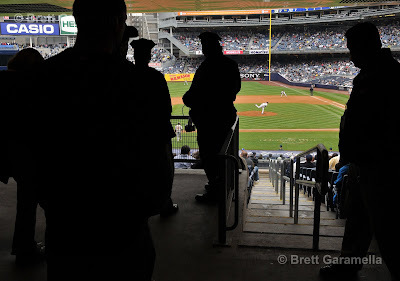 As soon as I got to my seat I settled down and enjoyed the first extra-inning game in the new stadium. Of course I couldn’t leave the stadium without my blood pressure rising again. I got in my car when Arin pointed toward a sign on the way out that said everyone has to prepay at the machine before leaving. No problem, I thought. Arin ran downstairs and put his ticket in and put money in the machine. He took the receipt and met me at my car. At the bottom of the garage a parking attendant was stopping each of the cars ahead of us. I couldn’t understand what was taking them so long. When the car ahead of us pulled out, the parking attendant asked me for my ticket. I gave him my parking receipt. He asked for my ticket. I told him I put the ticket in the machine and paid and received the receipt. He said without the ticket it will cost me $20. I told him that was ridiculous, and that I'm not paying twice for parking. It was an obvious scam. The attendant was making a quick buck for those wanting to leave quickly, which was everyone. I asked to speak to his manager. He pointed to an office on the other side of the garage. I pulled over and Arin talked to the manager, who gave him the run around. Finally, we did leave without paying again. But did we deserve to be hassled for more money when the sign and machine made it clear vehicles had to pay before leaving? Did I deserve this after dealing with the rude ushers and expensive food? 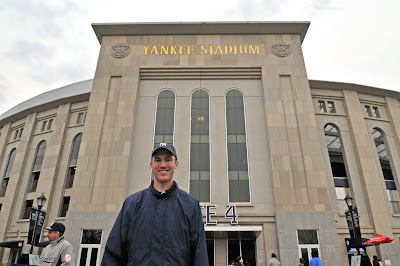 Then again, I'm not a corporate man; I'm an old Yankee Stadium kind of guy. for me to visit this web site, it includes helpful Information. There's certainly a lot to know about this topic. can make you kill you are not just 1 hit.